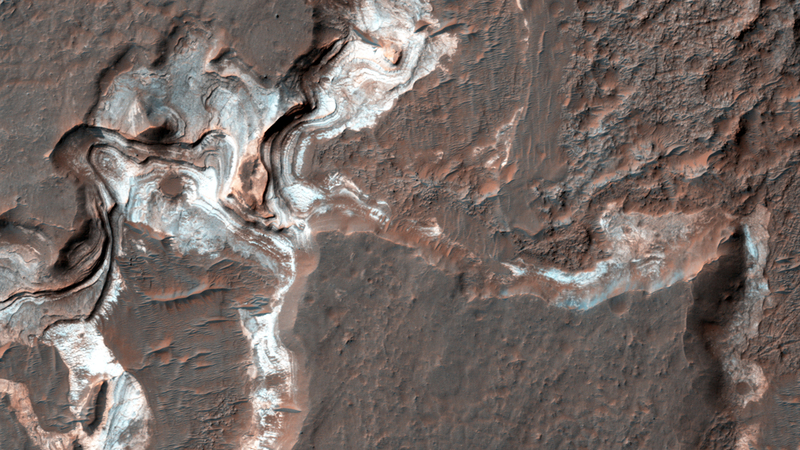 This image shows some bright layered deposits exposed within a linear trough along the floor of the Ladon Basin. 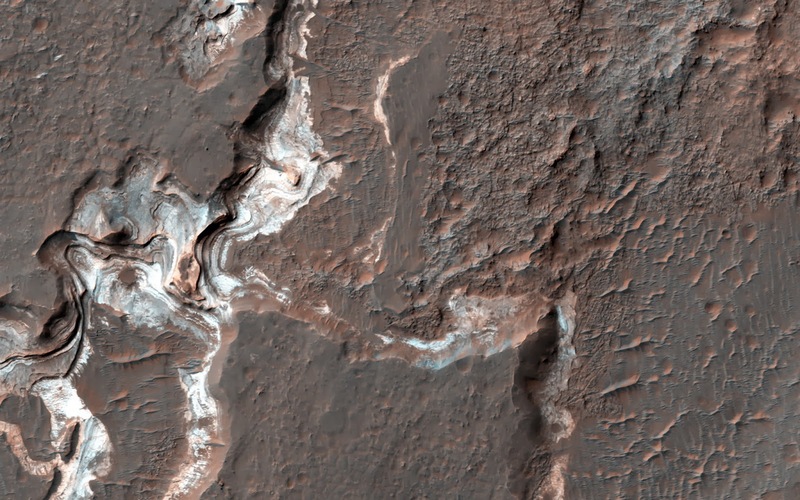 There is a large channel system that flows into the basin, called Ladon Valles, and scientists think that the basin may have once filled with water before another channel to the north formed and drained it. These exposures of light-toned layered sediments provide clues about the environment that existed within Ladon Basin when water may have ponded and deposited these sediments. This is a stereo pair with ESP_034143_1605. Note: For more information, see PIA17980: Bright Sediments on the Floor of Ladon Basin.